Stan thriller Wolf Creek has been licensed to Lionsgate for the North American and Latin American markets. This follows the announcement last month that the miniseries will broadcast on Fox UK in August. “Wolf Creek is world-class, premium Australian drama made for a global audience. The series has been a smash hit locally, and through the acquisitions by Lionsgate and Fox UK is now set to thrill audiences around the world,” Stan CEO, Mike Sneesby, said. After premiering exclusively on Stan, Wolf Creek has been a huge success in Australia with critics and fans. The drama series exceeded 500,000 views within days of its launch, making it the biggest premiere ever on Stan. Stan Original Series Wolf Creek is a Screentime (a Banijay Group company) production in association with Emu Creek Pictures. International sales are being handled by Zodiak Rights, the distribution arm of Banijay Group, with the Lionsgate deal brokered by Zodiak Rights’ Andreas Lemos – VP of Sales and Acquisitions. “We are delighted to be partnering with Lionsgate on Stan Original Series Wolf Creek. 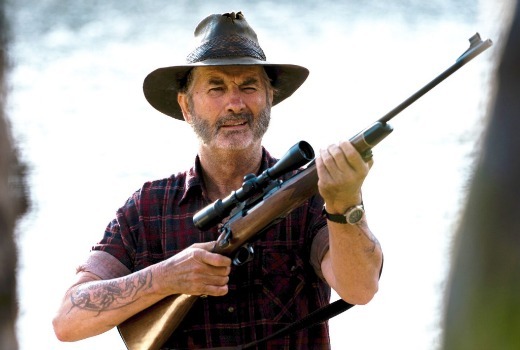 The company’s support for this original piece of drama will ensure that Wolf Creek makes a huge impact in arguably the most competitive media environment in the world,” Tim Mutimer, CEO Zodiak Rights, said.